Today was Gameday! University of Southern California vs University of Hawaii.. one of the main reasons I am here this week to support my team (USC). Started off the morning way before sunrise.. waking up just after 4am again.. but stayed in bed till near 5am. Was out of the room and roaming around the resort as soon as it became light. A look out our balcony while as I was preparing to walk around. Decided to go up to the 16th floor and take a look down to start off. Here is a clip of the elevator music.. it is Disney with a Hawaiian twist. 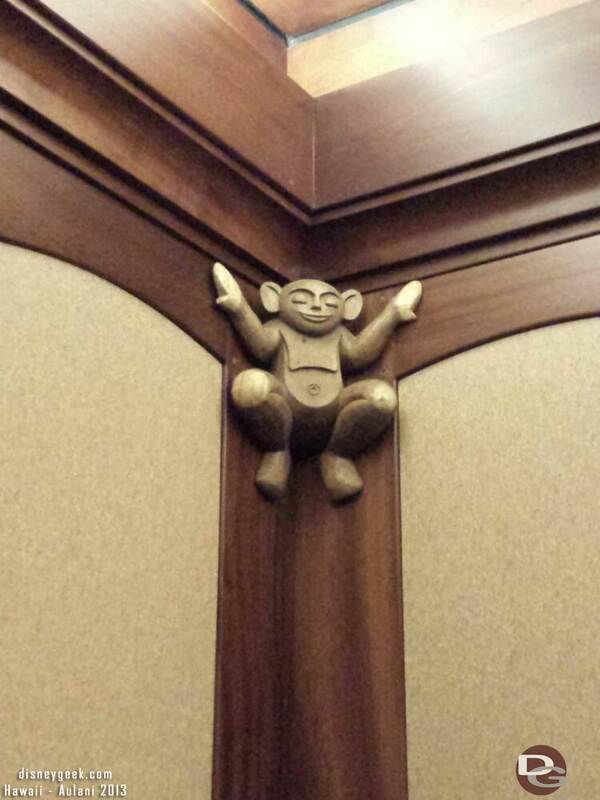 Then headed across the lobby and up the Ewa tower elevatorspotting a Menehune along the way inside. Here is a clip walking through the lobby this early morning, note it was 6:30 in the morning and the lobby music was not on. The view from the 16th floor of the Ewa tower. Another sample of the elevator music. Then I went and roamed around the ground floor for a bit. Everything is so peaceful in the morning. Looking out toward the ocean. After making my photo rounds headed for the Waikolohe Stream to enjoy a couple laps around while it was quiet. The area opens at 8am and the first hour is fairly peaceful. Here is a video featuring a trip down the Tubestone Curl and then a brief clip of floating along the Waikolohe Stream. Then stopped by the Whirlpool Spa that offers a view of the lagoon. Here is a quick video clip from the spa. 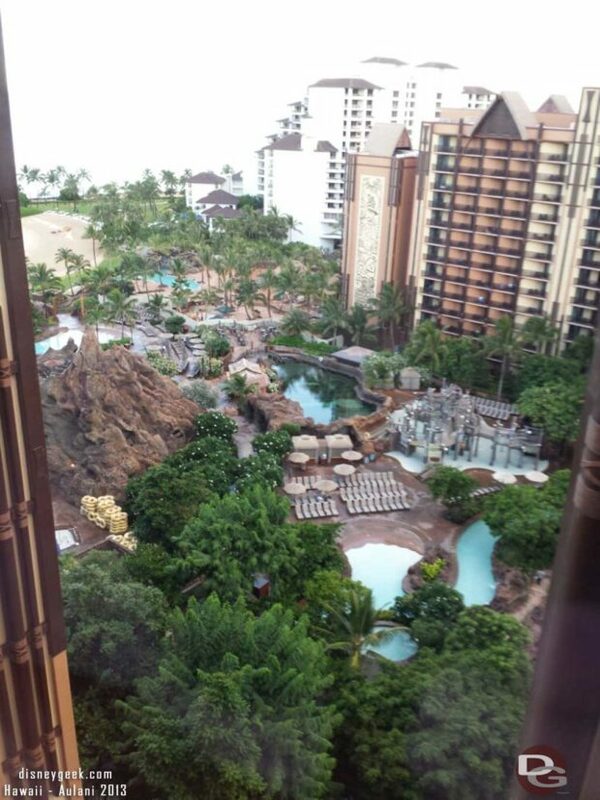 Today marked the second anniversary for Aulani. To celebrate they held a duck derby. All guests could enter. All you had to do was fill out a form with your name and contact info. For each entry Disney donated $10 to the Wildlife Conservation Fund. The total raised during the event was $8,850. For the castmembers there was a duck decorating contest. Each department had a duck. They were out in the community hall as a showcase and voting location for cast members. One of my favorites… Duck Soup. A random shot from the lobby as I was walking back to the room. The Duck Derby was at high noon. Before the race the current vice president of the resort spoke briefly and introduced the original who gave some remarks then the race was started. The race started on the tube slide then went all the way around the Waikolohe Stream once. Along the way Cast Members were giving updates as to the leader and telling duck jokes. At the finish line the winning numbers were recorded. 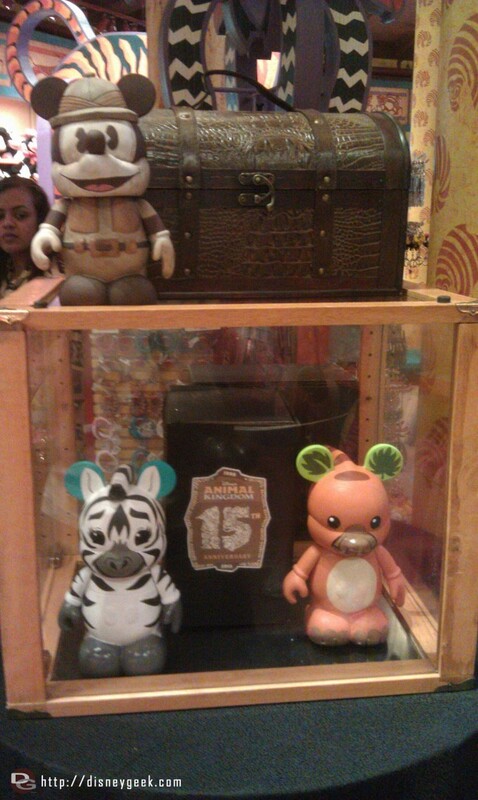 First prize for guests was a Disney Infinity Game. Then they gave out several other prizes, 10 in all if I remember correctly. My duck did not place. 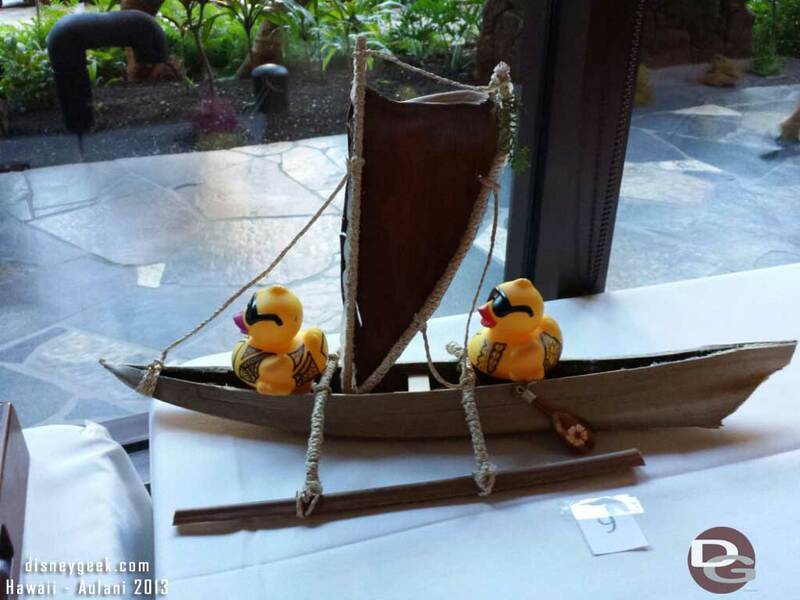 After the Duck Derby wandered around a bit then back to the room to prepare for the game. It was a 5pm kickoff and we left just after 2pm to drive to Aloha Stadium. Found our way up to the top where the visiting team seats are.. we only three rows from the top! But the views from the top area great. Here is a picture for Pearl Harbor. USC won for those that were curious, 30 to 13. Fight On! 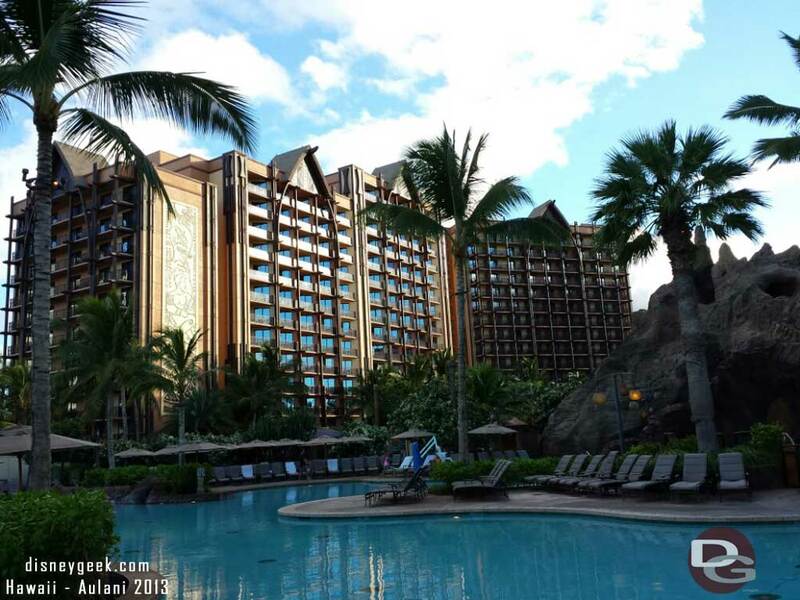 By the time we made it back to Aulani it was pushing 10pm and time to write this blog then call it a night. 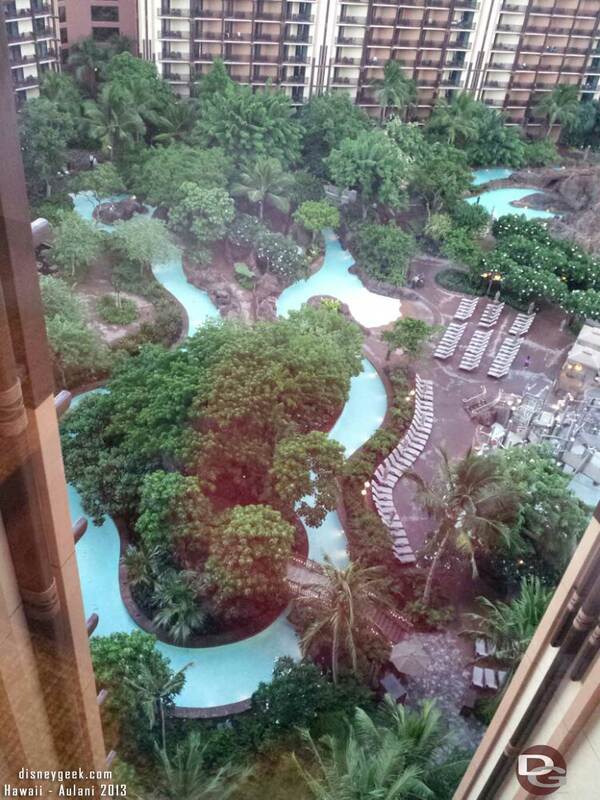 While I was at the game with some of the group the rest went to the Aulani Starlit Hui. This event is held a couple of times a week on the Halawai Lawn. It was on Monday and Thursday night.. which meant I missed it since the game was Thursday and we were not there Monday yet the previous Monday and leave before the next. So I was disappointed to mis the event. I do have some video, it was taken with my small video camera so the quality is not the best but at least I got to hear and see some of it. Here are six clips from the show. We spent a little over an hour in the pool this morning including a couple trips down the slide to make the video above and then stopped by the infinity whirlpool (not sure what the proper name is) but it is the hot tube with the great view of the ocean. I have really enjoyed the quiet mornings and having some time to explore the resort. 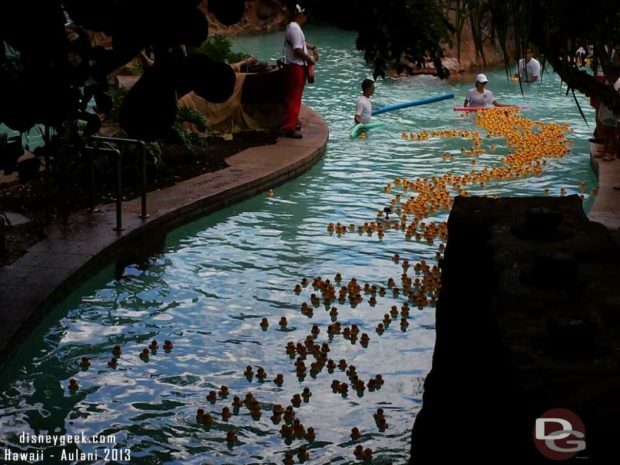 I was disappointed there was only one guest event on the schedule for the second anniversary of Aulani and that was the Duck Derby at high noon. I was hoping they would have had more. Maybe a button or something? Maybe a talk or something from Joe Rohde? Or something.. The Duck Derby was a fun event and I enjoyed it but it seems like it should have been one of many not the central/only event. I am guessing there were some cast member happenings. They all got buttons to mark the occasion. A good chunk of my day was taken up with the game and its late so going to call it quits since I am guessing none of you want to read my football commentary, a quick summary a win is a win but they have a long way to go. Raymond, the recaps are all cell phone pictures. View the other sections for SLR pics.